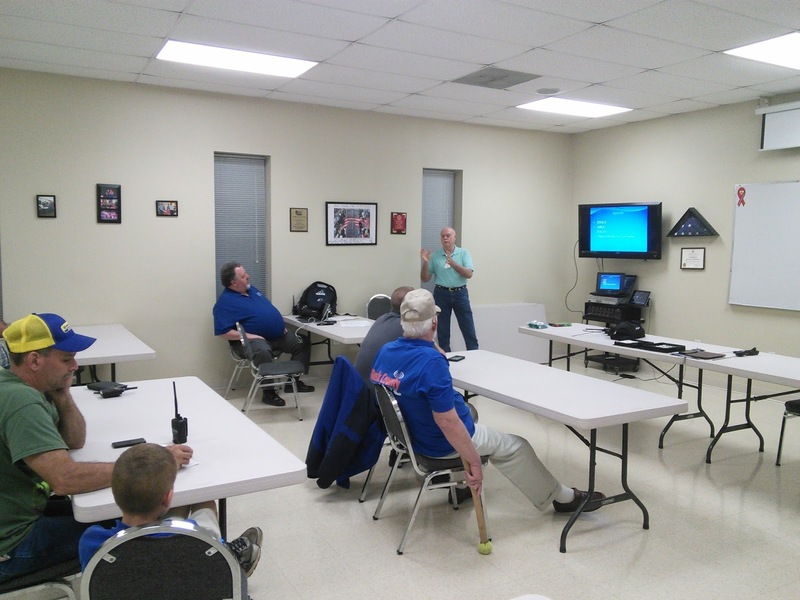 John Newman, N9JN, visited the Rusk County Amateur Radio Club during its recent April meeting to talk about emergency communications in East Texas. John is a director of the East Texas Emergency Communications Services club in Tyler. He also works with the state-wide RACES group. John spoke about the organizations efforts to serve numerous agencies in the region during local disasters. John also brought Gene Coldwell, WB5CTQ, and Mark Taylor, W5MCT, with him to talk about digital communications and training opportunities. All three amateurs have used amateur radio to provide assistance to local cities, counties, non-profit groups and even the state of Texas. Mark also gave a brief demonstration of Fldigi, even receiving a form on an android tablet.